I can almost hear the gears in your head whirring. What on earth is Chinese Wheel? The easiest way to explain it: Watch one of the videos below! The second easiest way to explain it: Imagine you and a friend each have a rope and you are standing side by side. You exchange inside handles so that you each have one handle from each rope. At this point you use a swimming motion to have one person jump then the other. Yeah it’s complicated. That’s why learning from some of the best jumpers in the world is so important. Join Peter Nestler, Nick Woodard, Kelsy Moe Porter and Mike Fry as they teach you the intricate world of Chinese Wheel. Of course, we don’t want to jump into the complicated stuff right away. We start off teaching how to jump 2 Person 1 Rope. We then move into 2 Wheel, 3 Wheel, 4 Wheel and then finish off with Giant Wheel. 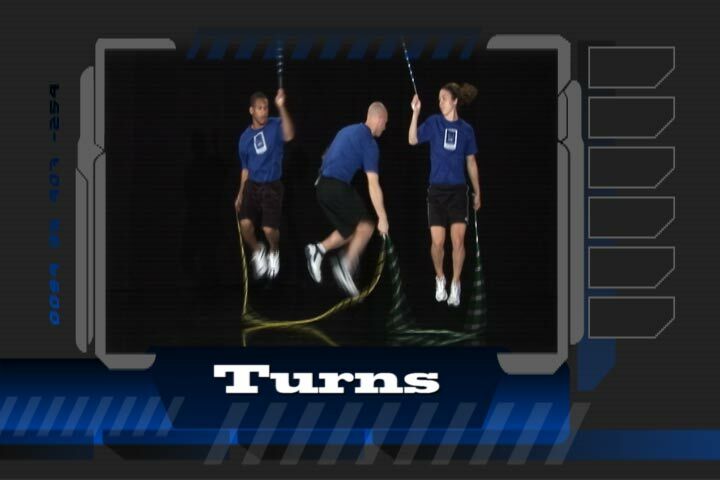 There is a lot you will learn as you venture into this ultimate team building type of jump rope. If you want to see what the big league of jump rope is, check out a preview of all the skills you will be learning.